After your game you can relax in the hotel lounge with spectacular views of the Foyle estuary. The bar serves food throughout the day and the restaurant offers a select menu to tantalise the taste buds. 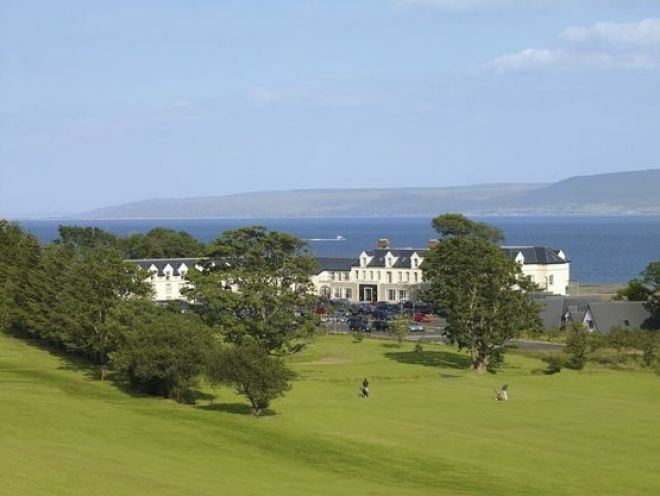 This challenging 9-hole parkland course is bordered on one side by the shores of Lough Foyle and on the other side by the Carrickmaquigley Hills of Co. Donegal. 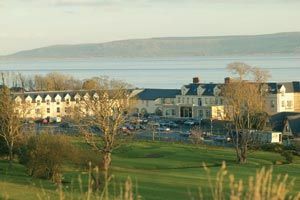 From the golf course there are sweeping views across Lough Foyle towards the mountains of north County Derry. Redcastle Golf Club measures 6,128 yards in length and makes the best use of the hillside location afforded to it. From the first hole a gentle dogleg left, uphill, you will be tested at every turn. Probably, the most spectacular holes are the 5th and 8th, both par 3s, which give views up and down Lough Foyle from high and low angles respectively. The greens are pretty swift and there is also a danger of water at a number of holes.